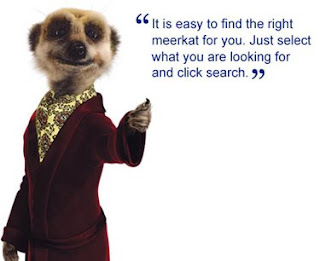 My love of the Compare the Meerkat campaign is probably clear to anyone who has read my previous posts. I think this is a kickass campaign that has developed what could have been a juvenile and unexciting play on words into one of the most creative and humourous ads of the last year. With that in mind, you can imagine how excited I was when Aleksandr started Tweeting that the website was going to be relaunched with new content. And I definitely had reason to. Picture galleries, family histories, ringtones, the ads and the out-takes; there's so much going on here. This is just brilliant creative work. Fair play to everyone who worked on this campaign, hats off to you!